iOS 10 uses a new password verification mechanism for iTunes backups that makes them easier to crack, according to testing performed by Elcomsoft, a company that specializes in software designed to access iPhone data. Encrypted iTunes backups created on a Mac or PC are protected by a password that can potentially be brute forced by password cracking software. The backup method in iOS 10 "skips certain security checks," allowing Elcomsoft to try backup passwords "approximately 2500 times faster" compared to iOS 9 and earlier operating systems. Obtaining the password for an iTunes backup provides access to all data on the phone, including that stored in Keychain, which holds all of a user's passwords and other sensitive information. In specific terms, security analyst Per Thorsheim of Peerlyst says Apple has switched from using a PBKDF2 hashing algorithm with 10,000 iterations to using a SHA256 algorithm with a single iteration, allowing for a significant speed increase when brute forcing a password. In a statement given to Forbes, Apple confirmed it is aware of the issue and is working on a fix. "We're aware of an issue that affects the encryption strength for backups of devices on iOS 10 when backing up to iTunes on the Mac or PC. We are addressing this issue in an upcoming security update. This does not affect iCloud backups," a spokesperson said. "We recommend users ensure their Mac or PC are protected with strong passwords and can only be accessed by authorized users. Additional security is also available with FileVault whole disk encryption." As Apple points out, this security oversight is limited to backups created on a Mac or PC and does not affect the security of iCloud backups. Most users likely do not need to worry about this issue as it requires access to the Mac or PC that was used to make the backup. 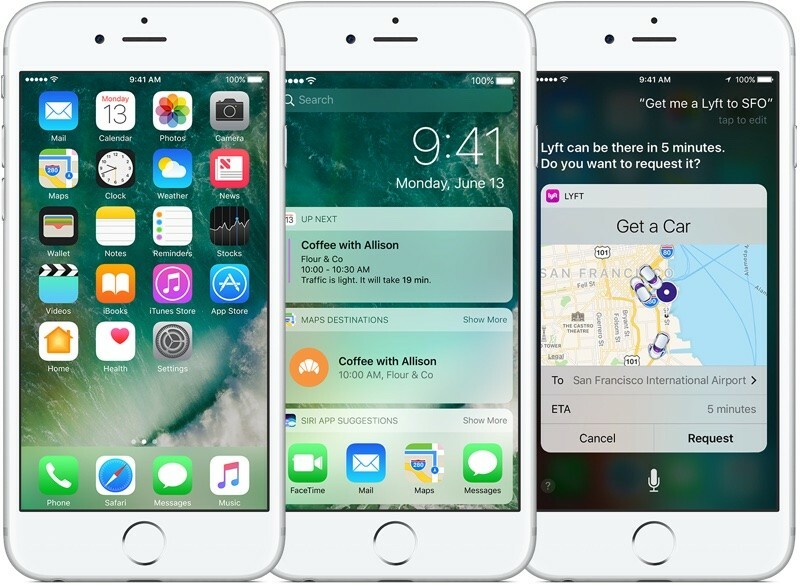 Apple has updates for iOS 10 and macOS Sierra in the works, and it's possible a fix will be included in the new versions of the software. iOS 10.1 and macOS Sierra 10.12.1 were seeded to developers and public beta testers earlier this week. Physical access to ANY machine is a security risk, no matter how strong password encryption is. I love Apple, but this sort of thing is so frustrating from a company that is trying to make privacy be such a huge part of its brand. Without security, privacy cannot exist. It doesn't have a huge effect on me, but it lowers my level of trust that Apple knows what it's doing. As a developer, this is a pretty glaring flaw, so I can only assume (or hope, rather) it was a temporary implementation that accidentally got through to a release version. Whatever happened, it's bizarre. They must hurry up. Yahoo was lucky enough their stocks were already worth nothing before the hacking. Pretty lazy on their part. This is iTunes backups. Most don't use iTunes backups these days, even fewer would have had time to make one for iOS 10. While this doesn't demand physical access to an iPhone, it seems to me like it would demand physical access to a PC or Mac (and only a PC or Mac, not an iPhone or iPad). Lowered security threshold because hacking is becoming less of an issue in 2016...? Did you not read the description of what is required? I'd imagine this was a big mistake by one of their developers. They should have more code reviews. There was no reason to suddenly change the encryption mechanism, except to make it easer to crack. PBKDF2 is an intentionally slow algorithm, meant to make brute force guessing of passwords difficult. SHA256 is a very fast algorithm, meant to produce hashes for dictionaries and sets and whatnot - basically, it helps make all your programs run quickly. Normally quicker is better, so SHA256 is preferable in almost all situations, except when it comes to storing your password. Either someone made an honest mistake and thought, hey, lets make this run faster because faster is better and they didn't consider the implications of hacking being faster, or they intentionally wanted to cripple security.